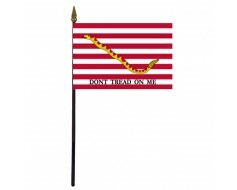 High quality Navy Jack flags, also called Union Jack flags. 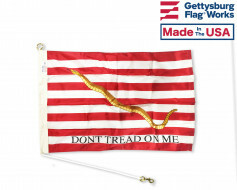 First Navy Jack Stick Flag - 4x6"
The US Navy Jack Flag is a maritime flag representing United States nationality flown on the jackstaff in the bow of its vessels. 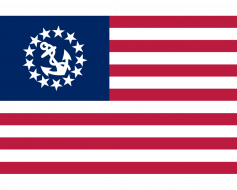 The U.S. Navy is a prime user of jacks, but they are also used by ships of the Coast Guard, Military Sealift Command, National Oceanic and Atmospheric Administration, and other governmental entities. 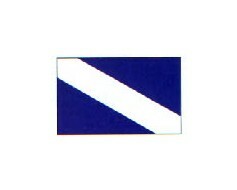 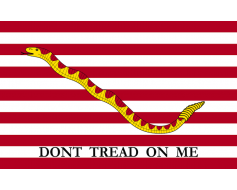 Typically, Navy Jack flags are flown on the bow of a ship, while the ensign is flown on the rear of a ship when the ship is anchored or moored. 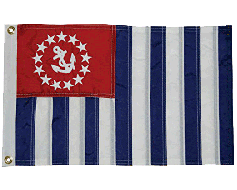 Once at sea, the ensign is flown from the main mast of the ship. 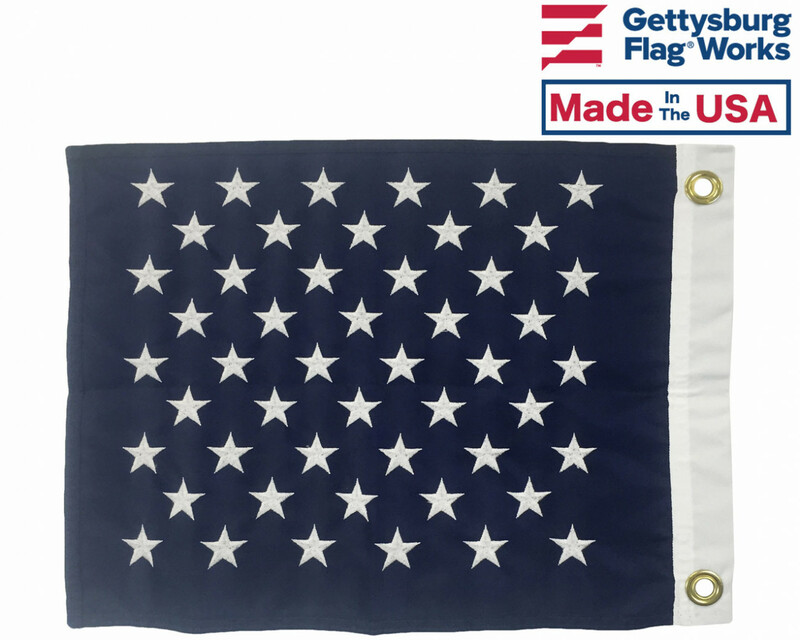 Interested in Purchasing a US Navy Jack Flag? Order yours online today, or give us a call at 1-888-697-3524 and we'd be happy to place your order for you! Looking for Related Products? 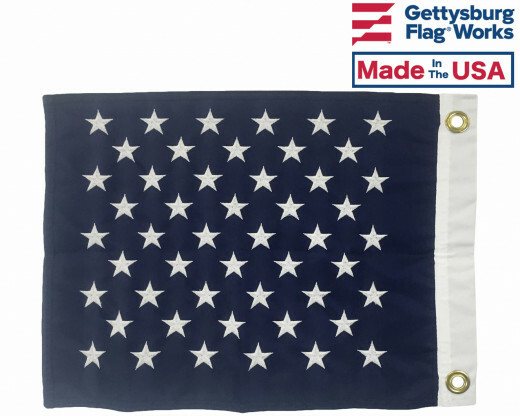 Be sure to check out the First Navy Jack Flag, used for a similar purpose as the US Navy Jack, but an earlier version of the flag featuring a different design. 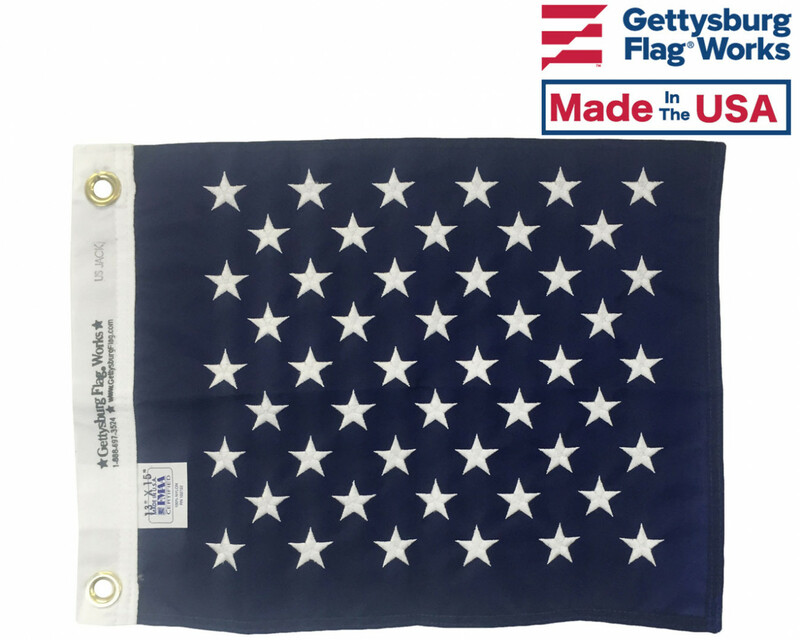 You can also browse our variety of Navy flags here.